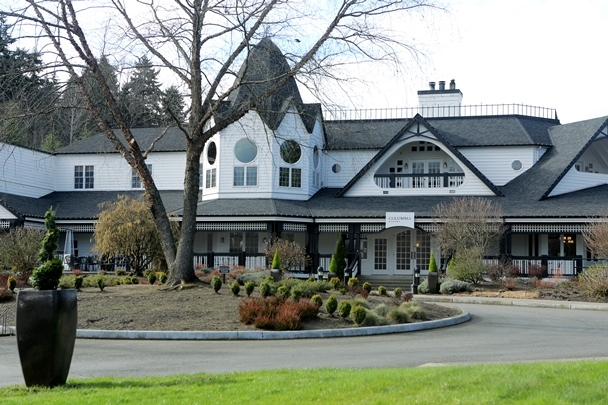 Located 14 miles from downtown Seattle in Woodinville, WA., Columbia Winery’s stately exterior has welcomed visitors from all over the world since 1988. All photos courtesy of Columbia Winery. The wine world is made up of well-worn paths and roads less traveled. Along these routes are explorers, traveling the viniferous globe to visit a tried-and-true varietal or discover something yet untasted. It is the promise of the familiar or the excitement of the quest that determines each person’s course. In as many ways as the journey delivers successful navigators to a winery’s door step, one will find a patchwork punctuated by hopefuls and anchored by mainstays. Found in Woodinville Wine Country, Columbia Winery straddles its reputation in both worlds. At its Woodinville tasting room, the winery offers guests a unique opportunity to sample a selection of small lot wines (Read more at Discover Washington Wine).